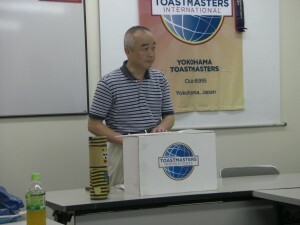 The 538th regular meeting was held at Kanagawa Fujin Kaikan, located near Momijizaka Street. In Momijizaka Street, there are many maple trees along the street. The leaf color has still stayed green.The meeting theme was “Halloween”. 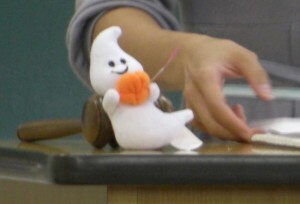 TM K.T as TMOD disguised herself as a witch and controlled the meeting smoothly and comically. 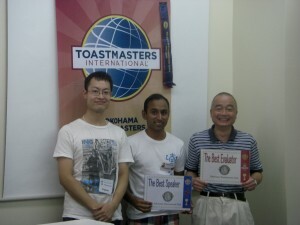 Four speakers performed wonderful speeches, based on their experiences and opinions. 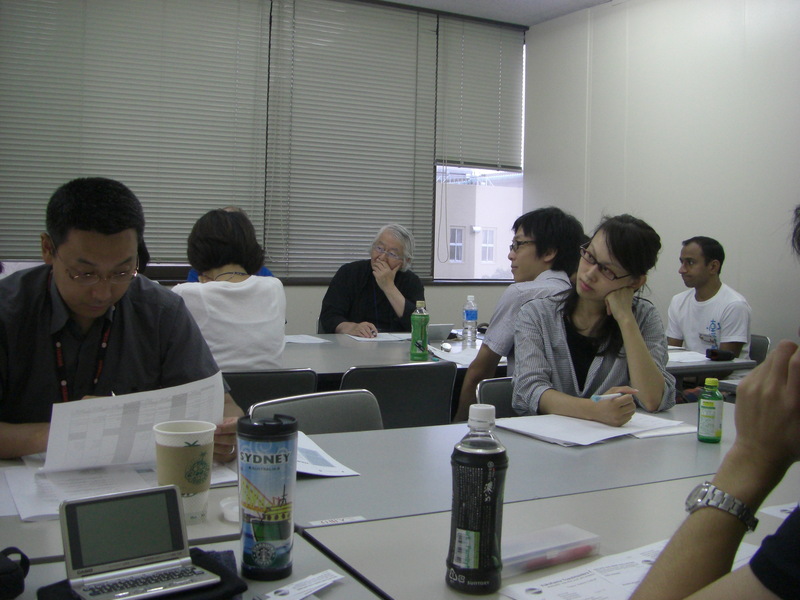 Furthermore, their evaluators pointed out their good and improved points sharply. 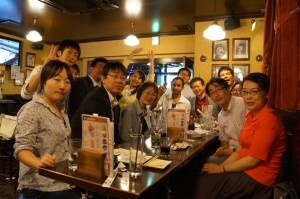 We enjoyed the meeting and had a profitable time to improve our communication and leadership skills. 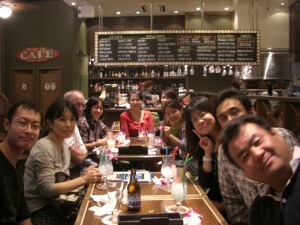 Next meeting on 3rd November will be held at Danjyo Kyodo Sankaku Senter Yokohama-minami. We are looking forward to your active participation on the next meeting. 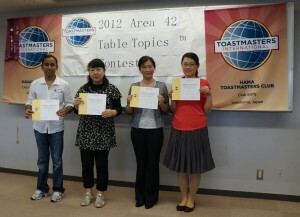 2012 Area 42 Table Topics contest was held on Oct.7th. There were four contestants from YTMC. 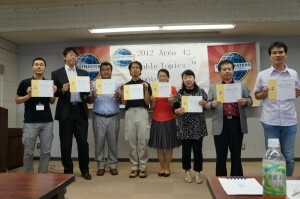 TM N.G and TM M.H joined English contest, TM M.T and TM M.H joined Japanese contest. 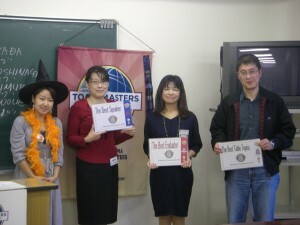 TM N.G and TM M.H won first place and second place in English contest!! Congratulations! 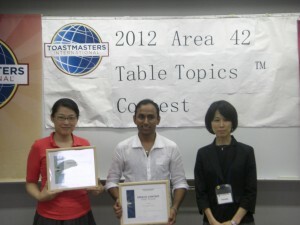 TM N.G goes to the next contest, Division D contest on Nov. 4th. Let’s go and cheer for him together! Unfortunately both in Japanese contest couldn’t get a prize, but they did real good! 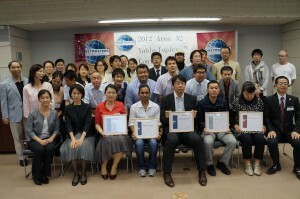 In addition, TM H.A took Chief Judge in this contest. This role was very important for management of the contest. She gave her impressions of this contest to us. I posted her comment below. Performing a new role is quite a challenge. I tried a role of Chief Judge at the area contest this fall. In the past, I have observed others taking this role. However, performing it is quite different from observing them. Although I participated the contests as a contestant before, I had not become very familiar with the rule book. This time, I took time to read the book and learned to appreciate how the event is put together. I typically have tendency to dislike any rules. However, in order for us to enjoy and to be fair for all, rules are needed. It gave me a new perspective to my life. I encourage everyone to try new role for yourself. You may find something that you have not noticed before.